An old episode of The Simpsons featuring the voice of Michael Jackson is being pulled from all future broadcasts, the show’s producer told a newspaper after the recent airing of a documentary about alleged child abuse by the late pop star. “It feels clearly the only choice to make,” James L. Brooks was quoted as telling the Wall Street Journal. 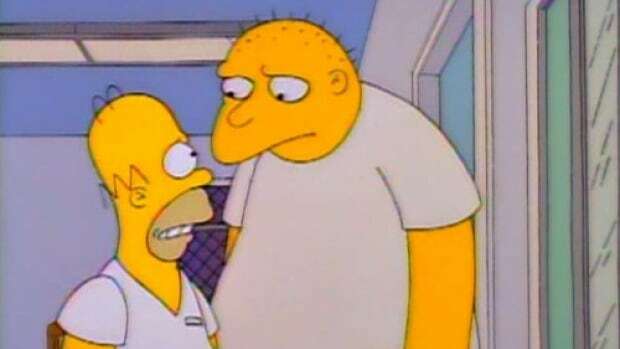 The long-running cartoon show featured Jackson in 1991, during its third series, in an episode called “Stark Raving Dad.” He voiced a character in a psychiatric ward who believed he was the pop star. Media representatives for The Simpsons were not immediately available for further comment. In the documentary Leaving Neverland, two men say they were befriended by Jackson when they were children and abused by him from the ages of seven and 10 in the early 1990s. It prompted a mixture of horror and disbelief when it ran on U.S. cable channel HBO on Sunday and Monday. Some radio stations in Canada and the Netherlands stopped playing Jackson’s music. Jackson’s family has called the documentary and news coverage of the accusations a “public lynching” and he was “100 per cent innocent.” His estate filed a lawsuit against HBO in February, saying the program breached an agreement that the cable channel would not disparage Jackson. The Thriller singer, who died in 2009, was acquitted in 2005 of charges of molesting a 13-year-old boy, unrelated to the documentary, at his Neverland ranch in California. In 1994, he settled a sexual abuse lawsuit concerning another 13-year-old boy.